One of the latest ventures of the parish is Marthoman Vidyapeedom, an effort to provide affordable CBSE syllabus education to the children of common man. The school operates from its own campus, . A well-planned, advanced school building and other infrastructure are being set up in the newly acquired land. 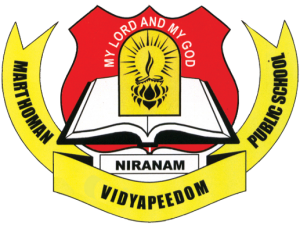 This institution came into being in 2006, owned and managed by St. Mary’s Orthodox Church Niranam and governed by St. Mary’s Charitable Society, Niranam. Presently it functions from play class to standard IX. There are 35 staff and close to 500 students.